Through our partnership with Wittmann Battenfeld, we provide the highest-quality injection molding machines made in the world. The innovation we provide that is powered by Wittmann Battenfeld includes toggle machines, hydraulic machines, micro injection molding, fast-runners, electric machines, vertical machines, multi-component solutions and control units. Our goal is to find a solution for your company that works for you today and is compatible with your future expansion. 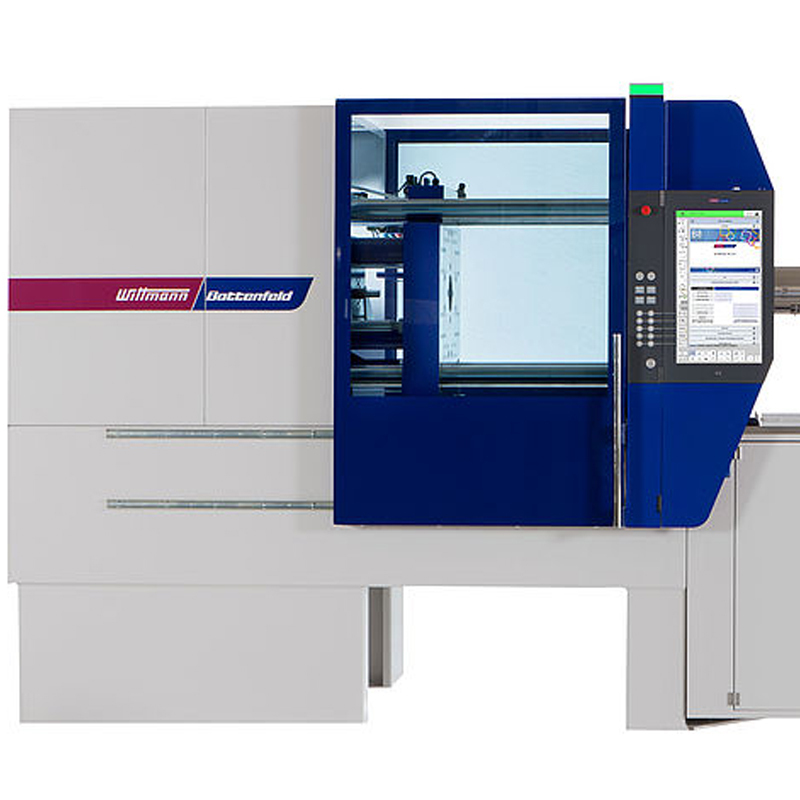 Wittmann Battenfled’s injection molding equipment is technologically advanced and is prepared for ultimately flexibility using the Wittmann 4.0 solution to combine data acquisition across several production cells. 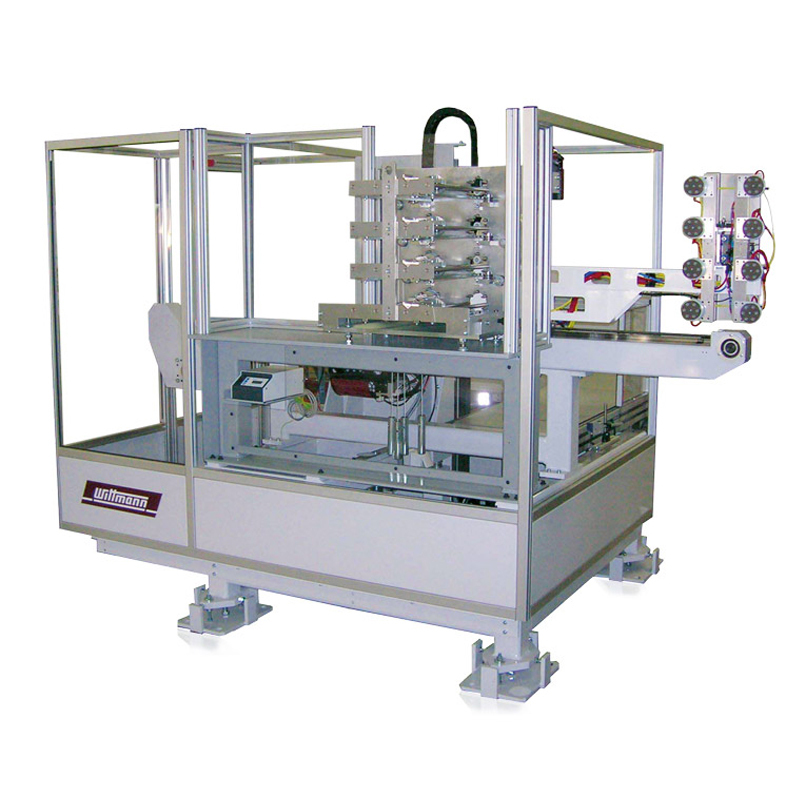 Computer numerical control machines and in mold labeling machines are automated solutions that increase productivity. Wittmann Battenfeld CNC machines, sprue pickers, IML systems and linear robots are designed to optimize processes and increase performance and reliability in many various and often very demanding, industrial applications. Wittmann Battenfeld only builds equipment and robots that are incredibly reliable in addition to providing technologically advanced solutions to many different processes. In addition to being durable and long-lasting, these robots are incredibly flexible to perform varied requirements and improve the quality and performance of your production process. In addition to injection molding and automation machines, RAM Polymer Systems provides auxiliary equipment to power and control the elements outside of these robots. This includes most things that are required for plastics processing and manufacturing including temperature control, granulators, blenders, dryers, conveyors recycling and extrusion. Using Wittmann Battenfeld products and RAM Polymer Systems, we can package these auxiliary machines together with injection molding machines or robots or create a custom combination to fulfill your custom application. By combing the leader in auxiliary equipment for plastic processing and RAM, we can improve any process. Wittmann Battenfeld has a long history providing reliable and innovative products to companies in the extrusions industry. 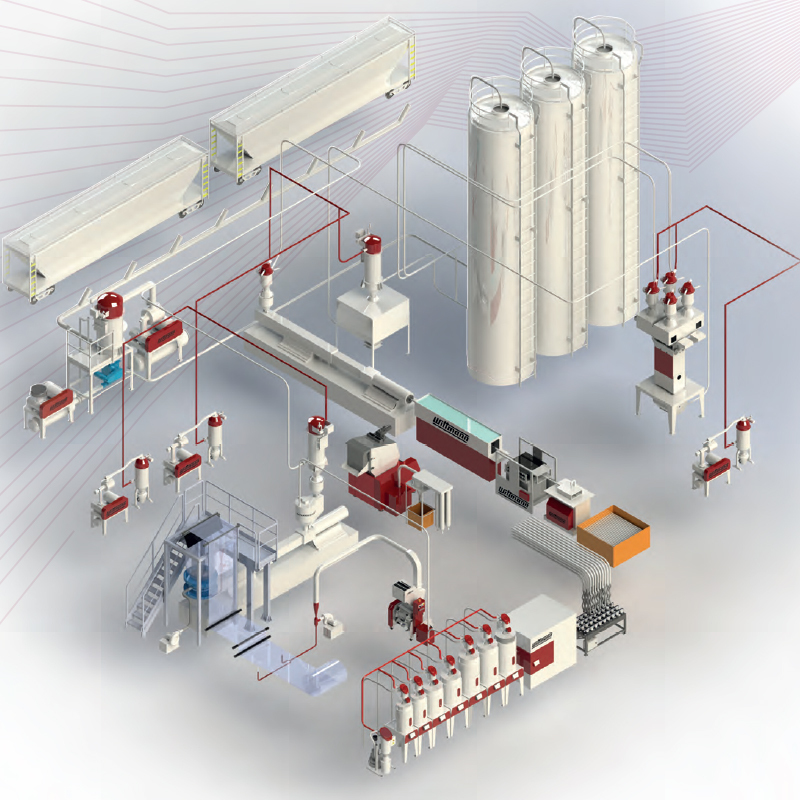 Extrusion downstream equipment that RAM Polymer Systems can provide downstream extrusion systems, upstream extrusion yield control, material handling systems, Material drying, temperature control units, chillers, granulators and recycling. RAM Polymer Systems provides companies in the extrusion industries with the best material handling and auxiliary equipment created by Wittmann Battenfeld. 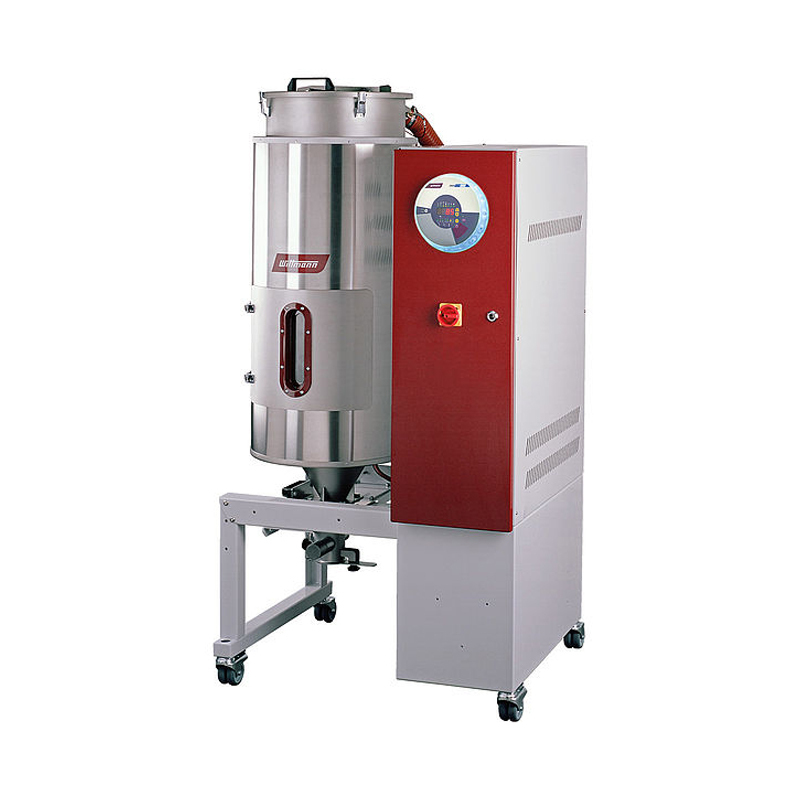 These machines are not only reliable but are also flexible to accommodate any extrusion process. We’re dedicated to finding the sustainable solutions for extrusion-based companies.